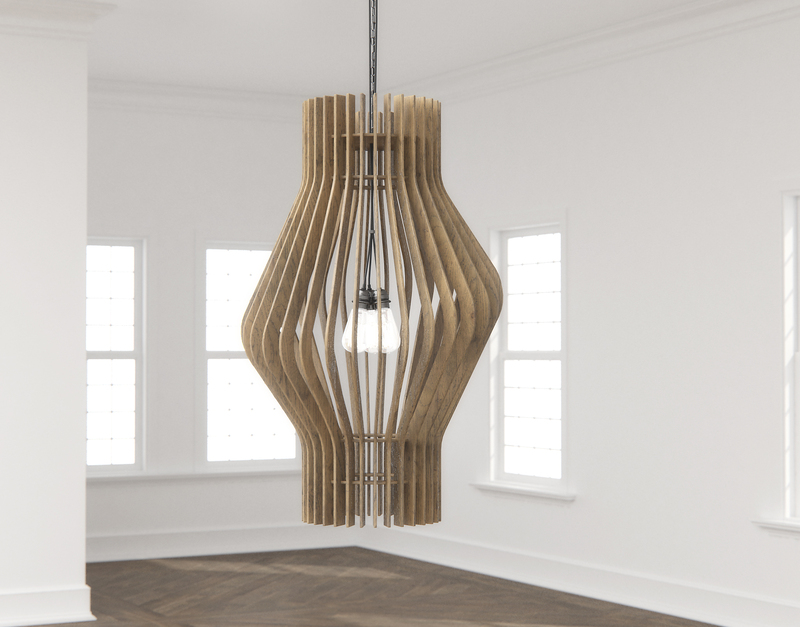 The Costas Chandelier is a geometric discourse of shape and form; designed to illustrate how an idea can permeate through its given medium. 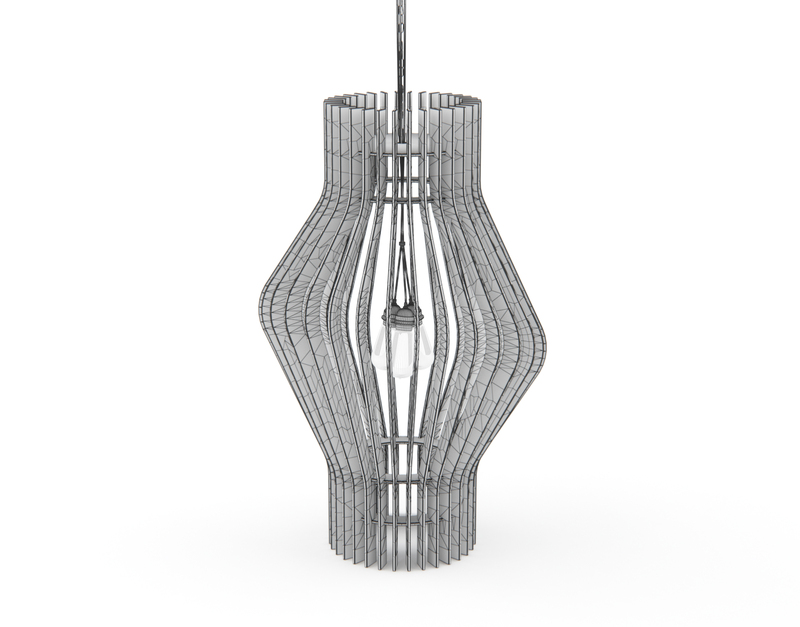 The off-axis bulbous form of this chandelier, cosmic in how it presents itself, helps magnify the impact of the lighting coming from the center of this design. 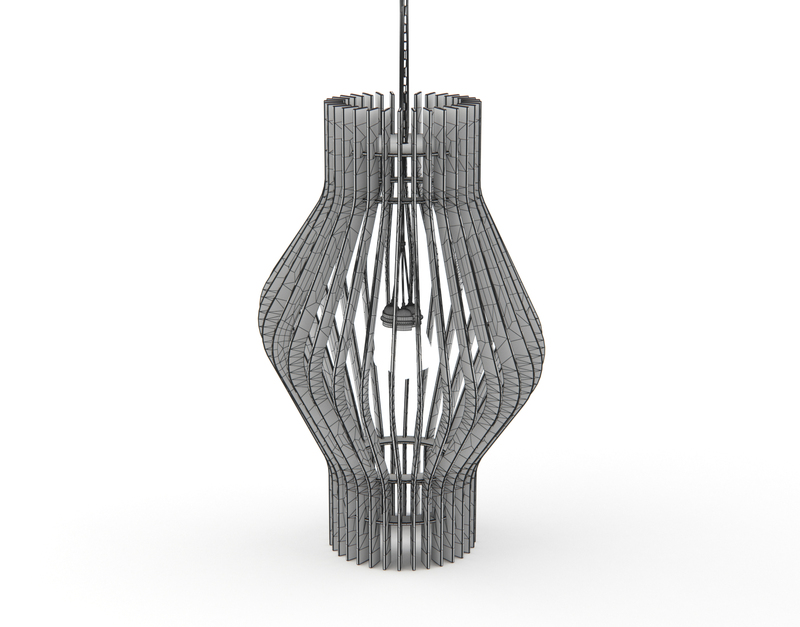 This 3D model will cast mysterious shadows on your renderings’ walls and serve as a strong focal accent for any design motif. 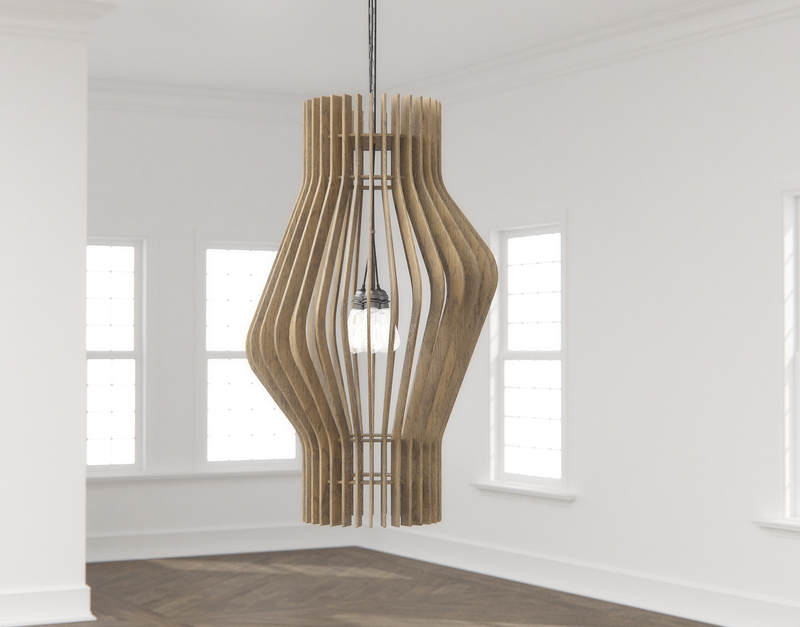 The Costas Chandelier is an embodiment of algorithmic experimentation conceived to illustrate the dance between shape and number. 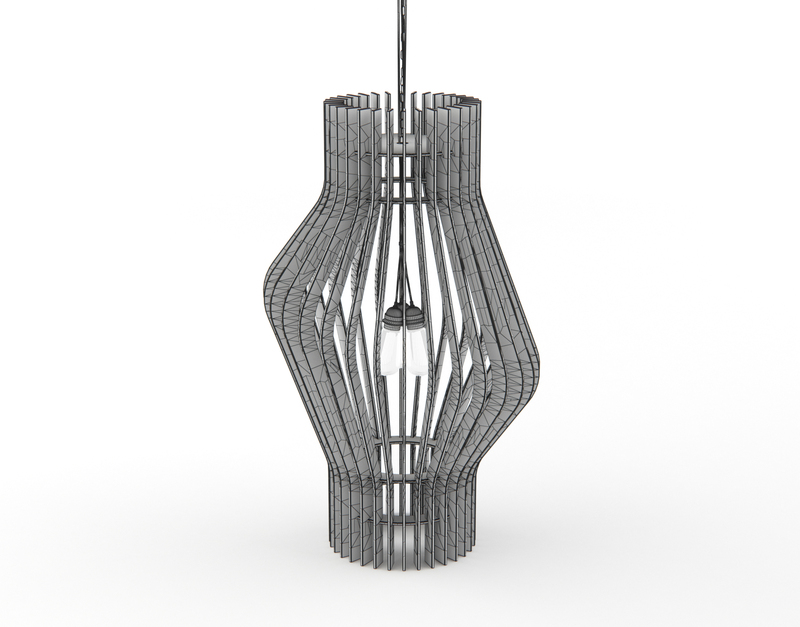 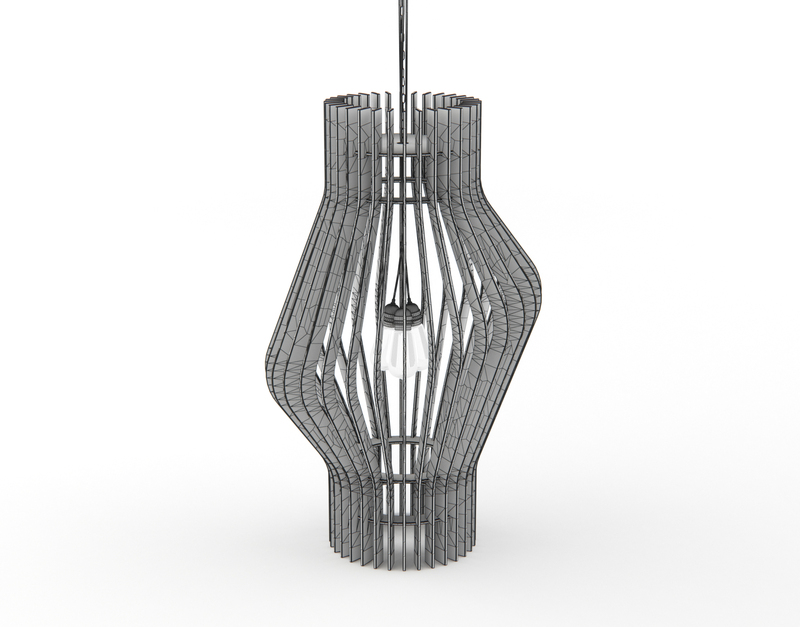 This chandelier 3D model was created in Grasshopper3D and optimized for photorealistic rendering in 3DS Max and VRay. 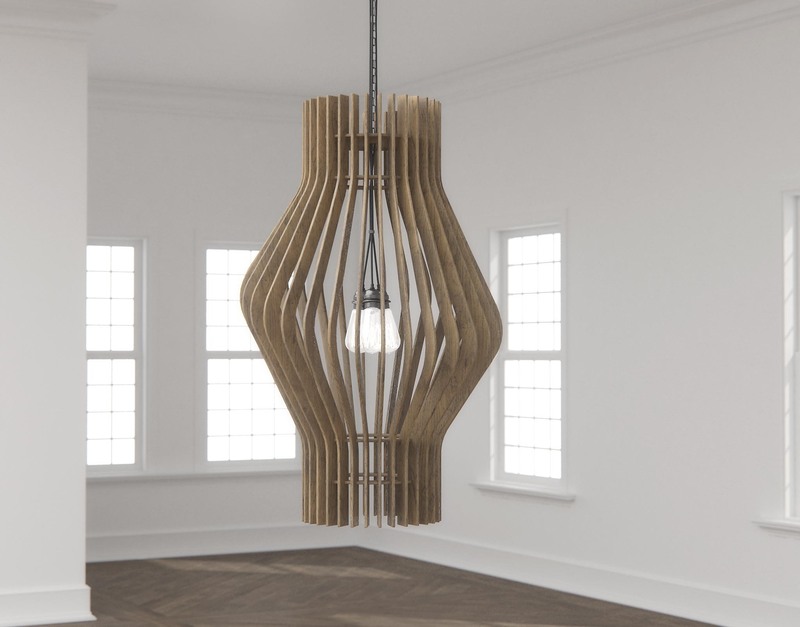 This model contains a three-bulb modern lighting fixture that makes it the perfect conversation piece to hang above large dining areas and entranceways. 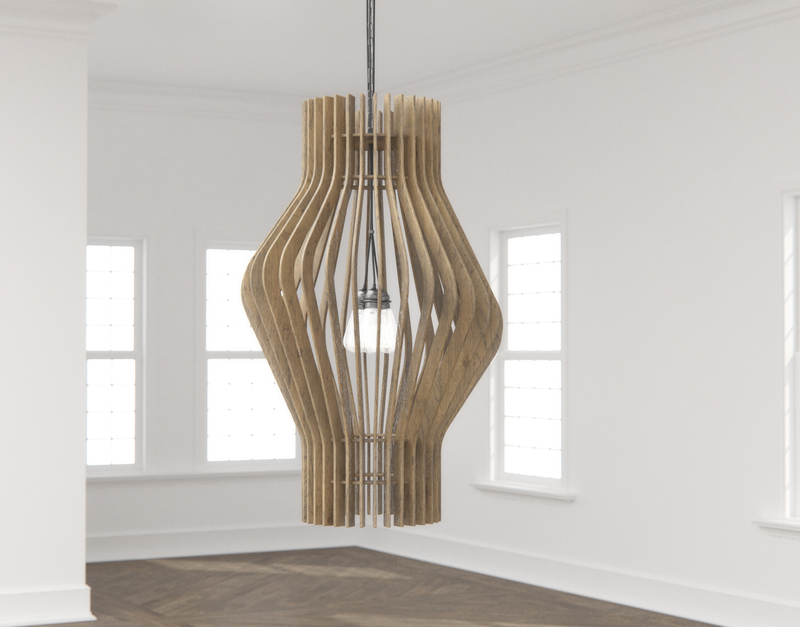 This 3D Model features a natural blond oak veneer texture that is high-resolution and has been optimized for seamless texturing. 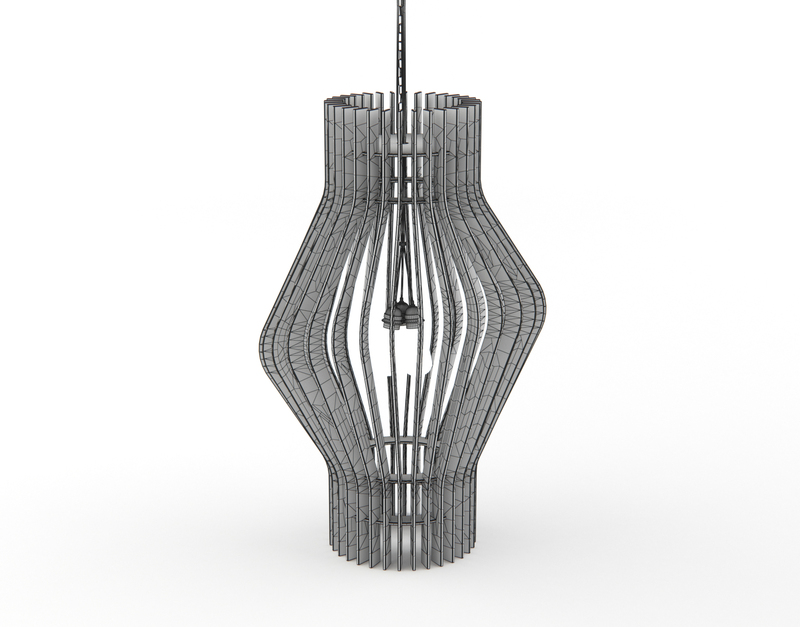 Additionally, this model features an Edison-style lighting group which features three filament-lit light bulbs and supported by a chain. 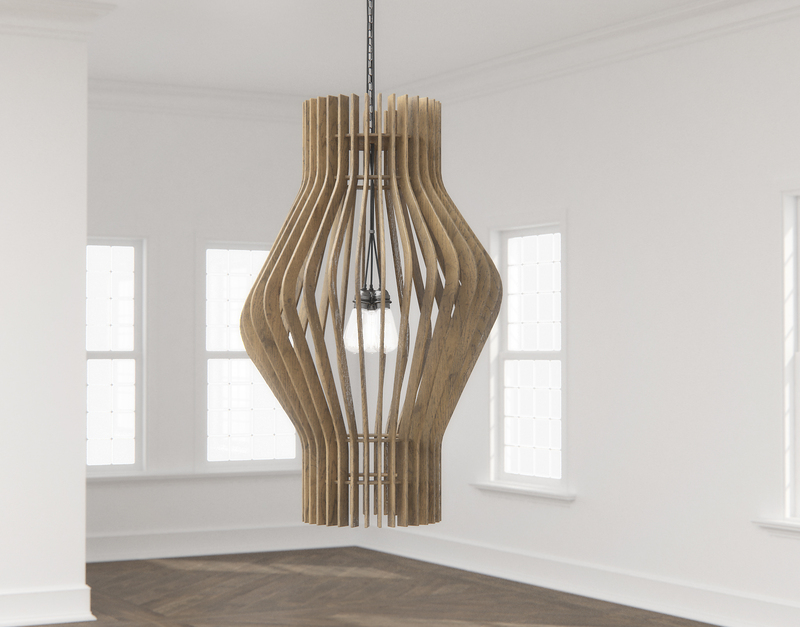 This model includes all textures and VRay materials required for easy import into scenes for high-resolution photorealistic visualizations.